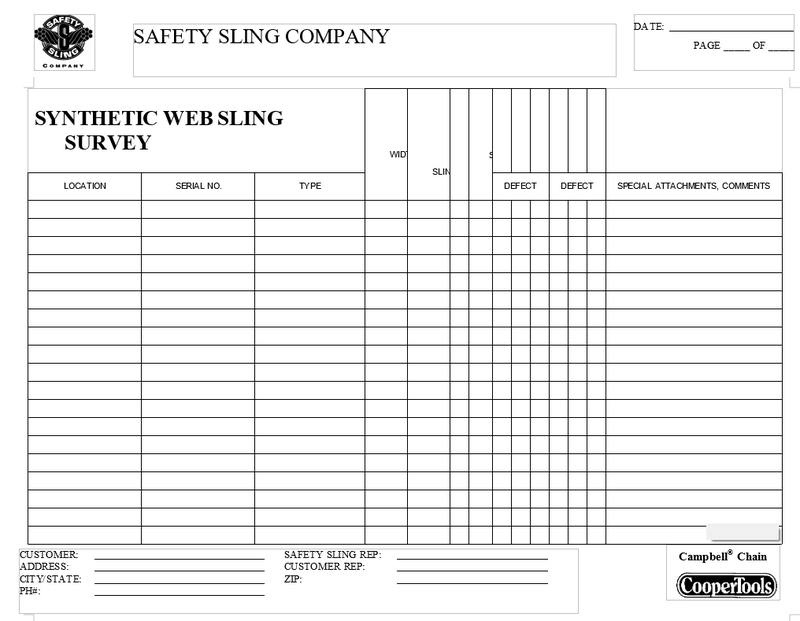 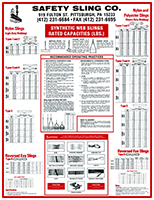 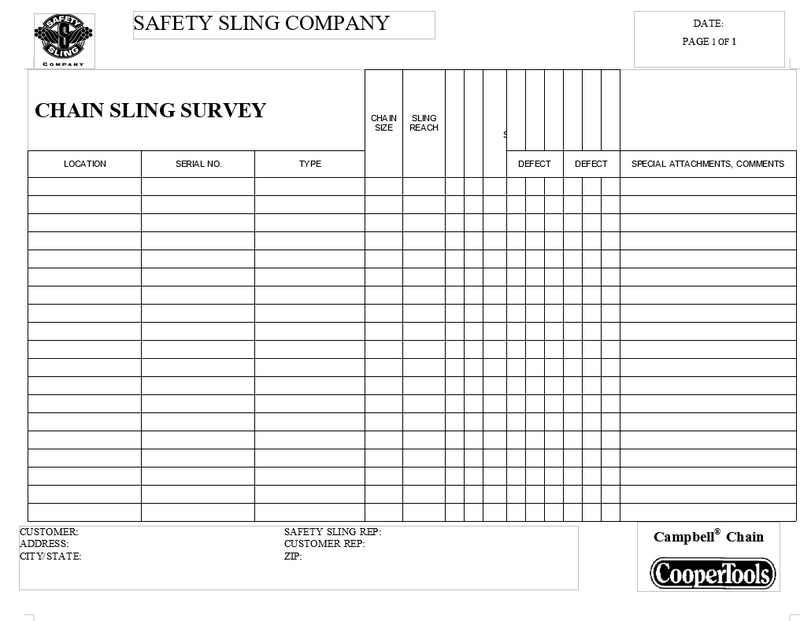 Safety Sling Company offers proof testing and destructive break testing of slings, rigging hardware, structural components and customer-specific items utilizing a 350,000 lb. 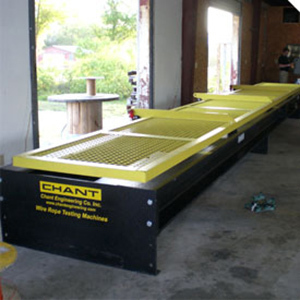 capacity horizontal testing machine. 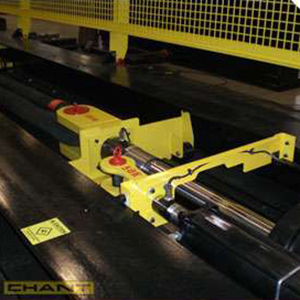 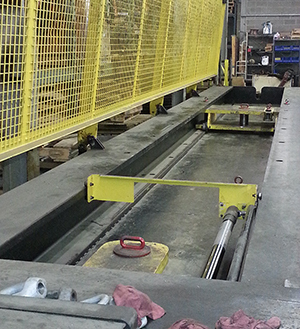 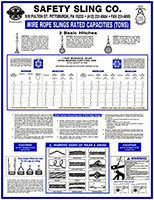 Manufactured by Chant Engineering, the unit’s nearly 30 ft. of usable length and 175 ton capacity allow for easy testing of most slings and rigging items. 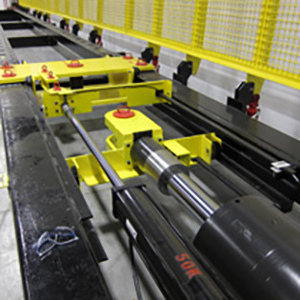 The machine is also equipped with a set of wire rope grips to facilitate testing of longer, running lengths of wire rope and end fittings. 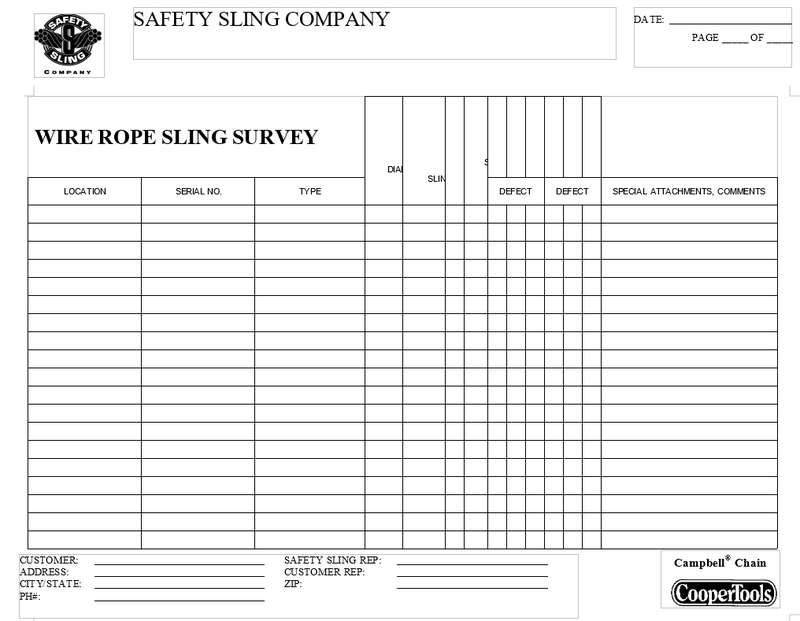 The inspection, testing and recertification of rigging items can be performed quickly to minimize product downtime and maximize deployment of valuable customer inventory. 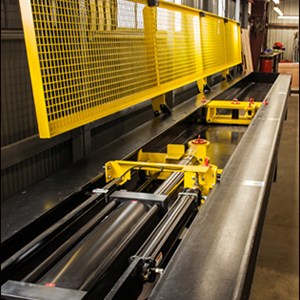 All items will be inspected per OSHA, ASME and Manufacturer Standards to ensure compliance, then proof tested to verify the product’s viability for new or continued service. 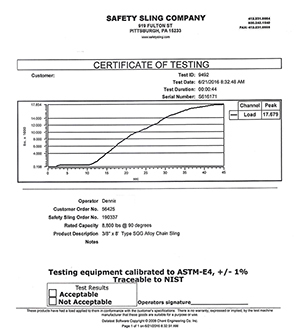 A computer-generated Certificate of Test with graphic display and results traceable to ASTM E-4 standards, is issued for customer records.